Creating a Global Warming Lapbook is a good way to teach your children about identifying problems, taking action to solve problems and is helpful in developing discussion and analyzing skills. If you read my Go in Peace page you know that I put a different spin on the topic of Global Warming. Here, however, I will broach the subject of creating a lapbook on the subject of Global Warming in its normal context. Choose and assemble your folders. Decide what is the important topics you want your child to know. Pick between 5-10 topics. Decide on the templates you will need. For example if you are having vocabulary words use a 2 folded rectangular template. Print off or create templates. Step 4: Teach and Present Material. Finish with a few open ended questions. What can you do to address the issue of Global Warming? 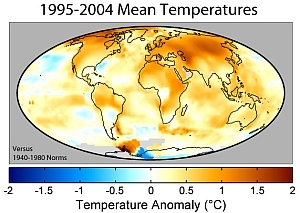 Is Global Warming a normal cycle of earth development or is it caused by man? Are there simple things that even kids can do to help minimize the effects? Step 5: Assign writing projects, research or vocabulary words, extra reading material, search for images online or in magazines. Step 6: Art it up. Allow the students to put their creations in their lapbooks and then to color or decorate as desired. Step 7: Review information at the beginning of next lapbook session. I promise to use it only to send you The Homeschool Seeker .